If you are in the process of preparing to sell your home, you probably have a number of important questions that need answering. Which time of year is best to sell, what is the entire process like and so on. Make sure to answer these questions prior to beginning the home sale process in order to full prepare yourselves for the entire experience. Consult our Q/A below for complete answers to your questions. What is the home-selling process like? 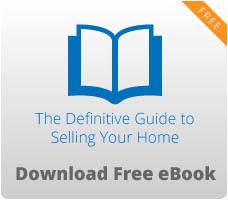 The home-selling process involves numerous activities and can be divided into three stages. The first stage is where you prepare to list your home. This involves hiring a realtor and taking the necessary steps to ready your home for the market. The second stage is where you invite potential buyers into your home for the purposes of selling them your home. The third stage starts with a potential buyer making an offer and ends with a sale. This stage involves negotiation, disclosure and other processes. Should homeowner’s hire a real estate agent? Yes, selling your home is a big and complex undertaking. A professional real estate agent will ensure you are protected throughout the home-selling process and receive the best possible terms of sale. Your home is often your most valuable asset and should be sold by a professional who understands the local market. What should my home sale for? This is a complex question that is best answered by your realtor. Many factors from general market conditions to finer aspects of your home’s condition go into pricing. Your real estate agent will ensure this process is properly done. How does a real estate agent appraise a home’s value? Real estate agents use a competitive market analysis to reach a consensus on your home’s value. This involves an analysis that relies on informal comparisons or comparable homes that are for sale and that have sold recently to arrive at your home’s value. What are important factors to consider when selling a home? Price and condition are the two most important factors that determine whether your selling experience is a successful one or not. Properly, appraising the true value of your home is paramount. During this process it is vital that any cosmetic defects are repaired as the condition of a house will determine whether or not you are able to maximize the value you get for your home. Finally, exposure serves as a third important factor. Even the best home in the world at a great price will be difficult to sell if its exposure is poor. What should homeowner’s do to prepare their home for sell? Home should be de-cluttered and cleaned so that it appears in the best possible light. Closets should be organized, appliances checked to ensure they are in working order, bathrooms and kitchens should be spotless, and your home should smell sweet and inviting. Your home’s yard, should be clean and well kept as curb appeal matters. Is there a best time of year to market my home? Property sells occur year round and are dependent on many factors. Generally, the market slows in the summer and is stronger in the spring and fall. It is best, if your home is available to buyers all year. This depends upon many market factors that involve the strength of the local real estate market including supply and demand of homes in general and the desirability of your home.